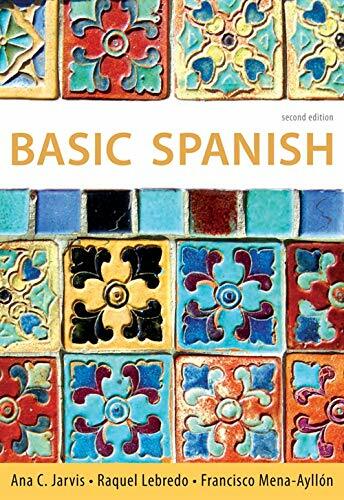 THE BASIC SPANISH SERIES, 2E Series offers a flexible, concise introduction to Spanish grammar and communication with state-of-the-art online learning tools to better address the needs of today's students and professionals who need a working knowledge of Spanish. For the second edition, we maintain the strengths of the program while making it more accessible to all students of Spanish. We are proud to offer an extensive technology program with this edition, thereby improving students' access to required materials and giving instructors the freedom to design their courses in the way that best meets their students' needs.